How Can Insurance Fraud Be Prevented? Insurance fraud is a serious problem that’s gained increasing attention in recent years. But even consumers who are aware of fraud may be shocked by its extent – and how much it costs. “The property and casualty industry has long believed that there is roughly $30 billion lost annually to insurance fraud,” says Frank Scafidi, director of public affairs for the National Insurance Crime Bureau (NICB). At least 10% of property and casualty losses are fraudulent. Health insurance fraud costs are much higher. Insurance companies are well-versed in detecting and investigating fraud, often in partnership with law enforcement. Dealing with fraud once it occurs is expensive and time-consuming, so many state and local governments are stepping up efforts to stop fraud before it starts. What are the most common kinds of insurance fraud? While many associate insurance fraud with elaborate plots and crime rings, industry experts find that’s not always the case. Some policyholders also choose not to disclose some household drivers in their application for auto insurance – usually younger family members or those with revoked or suspended licenses. Others will conceal the commercial use of their vehicle to obtain cheaper, personal premiums. Donahue says policyholders may commit claims fraud when they lie about their insurance status at the time of an accident or about the cause of an accident. “Public education and aggressive criminal prosecutions are our most effective means of stopping and preventing insurance fraud in Pennsylvania,” Donahue says. Other state and national organizations have launched similar campaigns, with similar results. A recent study from the South Carolina attorney general’s office showed that fraud reporting in the state was at an all-time high. The NICB has also seen a rise in reports of questionable claims. Education can also help consumers understand the penalties for insurance fraud – and law enforcement can back them up. “Aggressive criminal prosecutions, with the resulting penalties of jail, probation, fines and restitution imposed by the courts upon defendants, may keep people from making unwise decisions and cause criminal rings to shift their operations away from Pennsylvania,” explains Donahue. He estimates that Pennsylvania’s insurance fraud units investigate and prosecute 400 to 500 fraud offenders yearly. Why should consumers be concerned about insurance fraud? Anyone considering committing insurance fraud should first learn the consequences. Donahue warns: “Criminal convictions are a permanent record, available to news media and employers.” Perpetrators may have difficulty finding work in addition to facing fines and prison time. Criminals aren’t the only ones affected by insurance fraud. Quiggle points out that fraud can also have disastrous effects on bystanders. 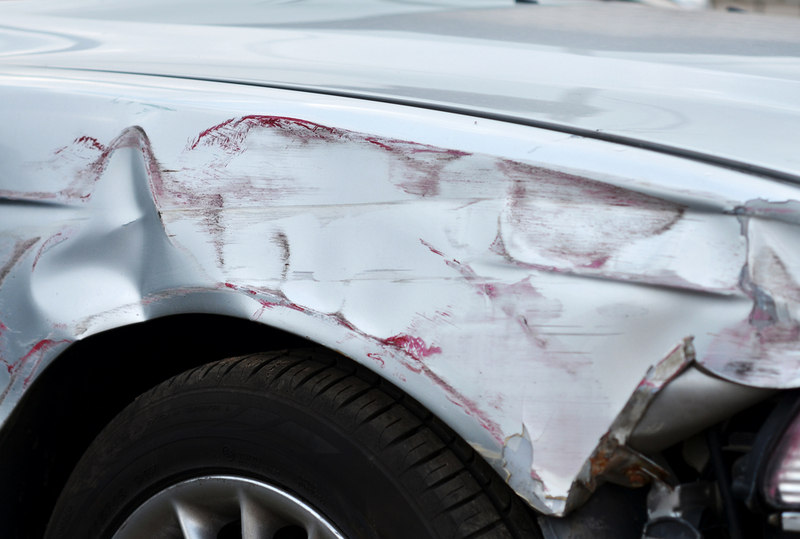 Car accident photo via Shutterstock.